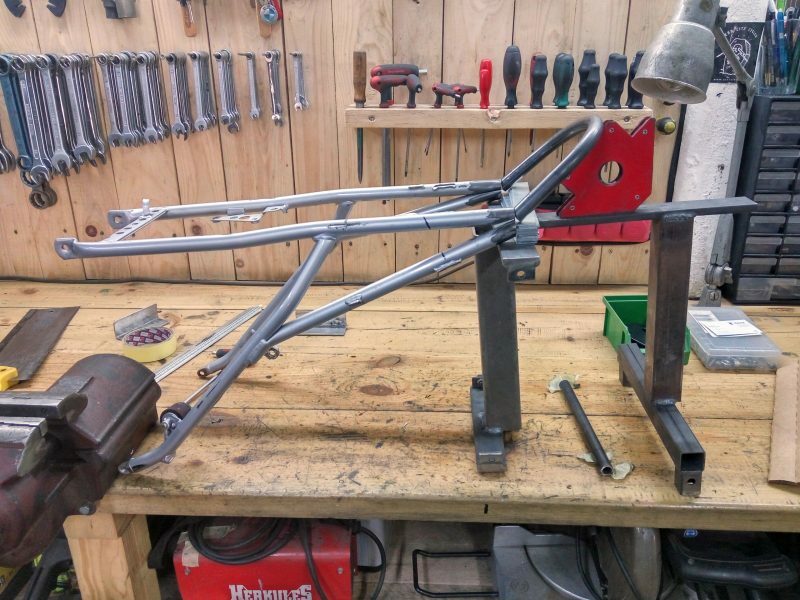 Here you see a modified rear frame with a new loop as an example, but also tailor cut rear frames are possible. 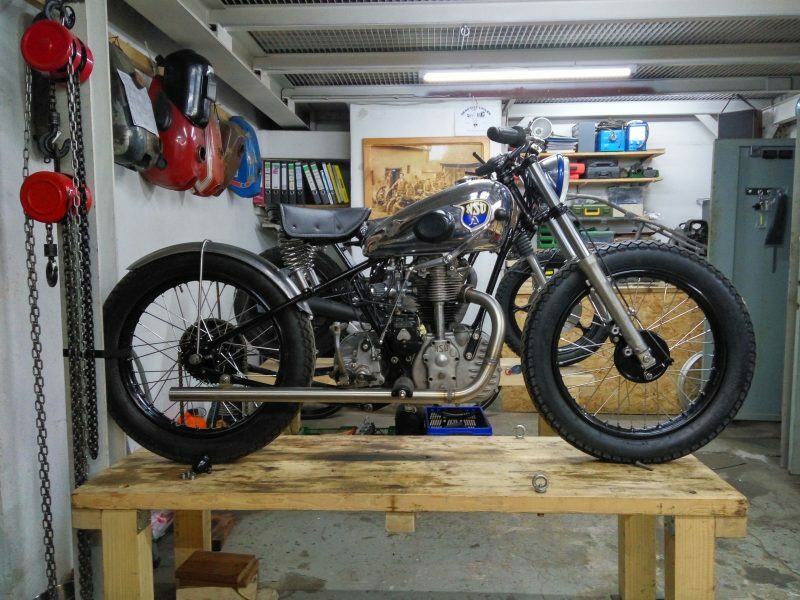 For the NSU, a completely new custom exhaust were made out of stainless steel tubes with an internal silencer. Are you finished with standard aftermarket tail lights? 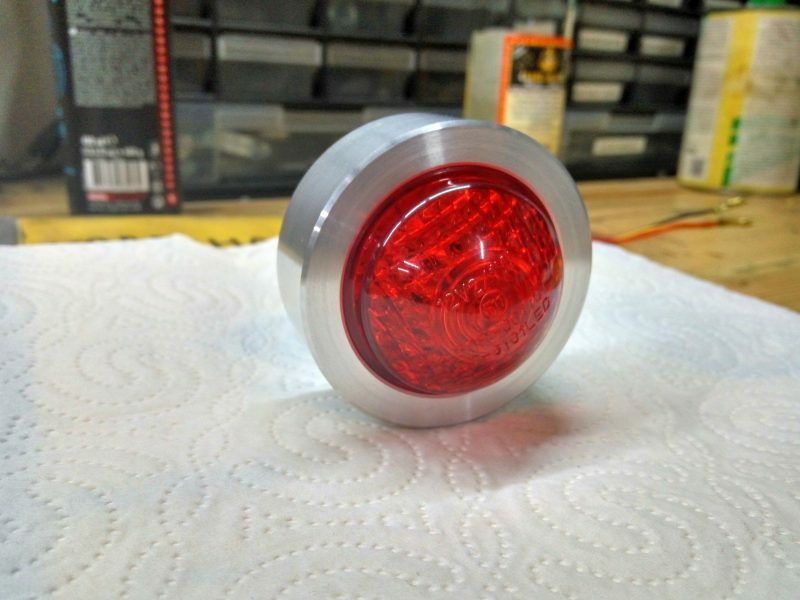 A custom taillight out of aluminum or brass for can solve the problem for you. 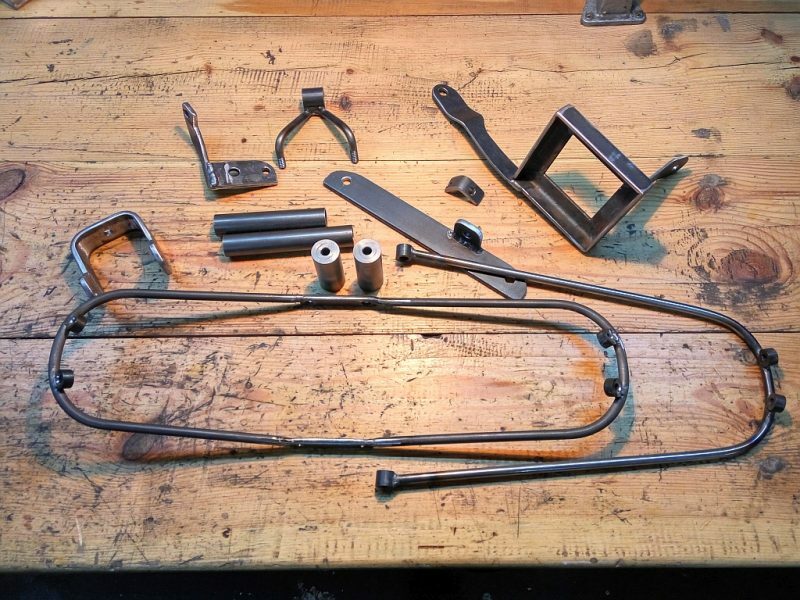 Do you need custom brackets or holder for your custom stuff made out of steel or stainless steel? We can do it for you. 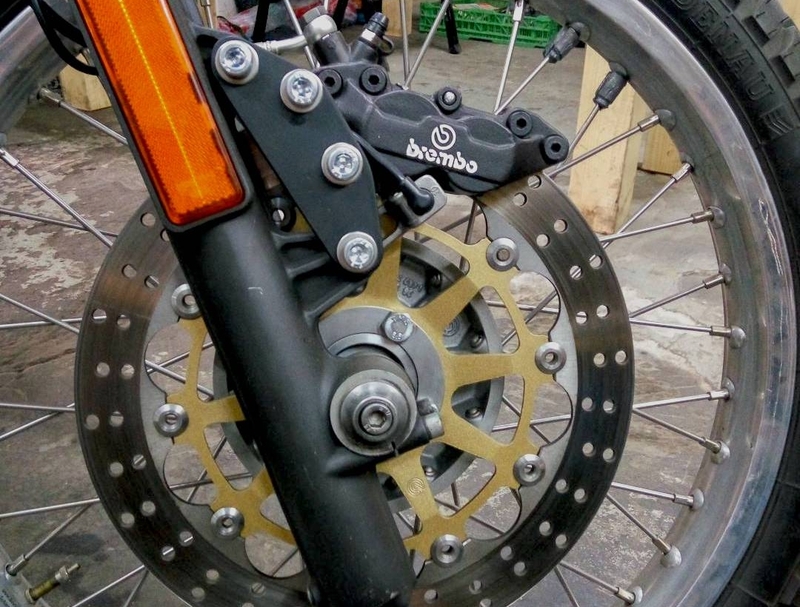 Here you see a 320 mm Brembo disc in combination with a 4 piston caliper and a custom holder in front of a BMW 80 G/S which improve the brake dramatically. 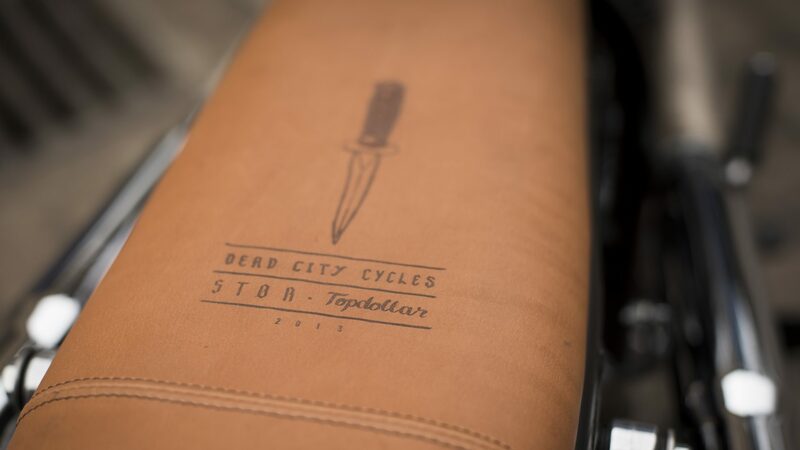 You completely rebuild your bike and need a tailorcut wiring? 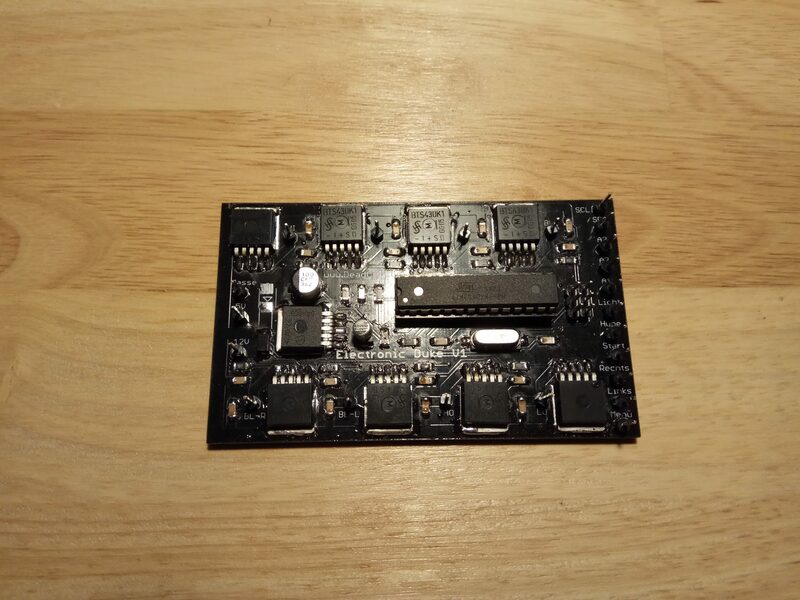 We can provide electronic gadgets and custom wiring schemes for your bike.